Find an alphabetical list of diseases (Facts sheets here). The Infectious Disease Reporting System is the combined infectious disease reporting system for all of Franklin County, including the City of Columbus, for health care providers in Franklin County. The Columbus and Franklin County Public Health agencies have joined forces to make the reporting, tracking and investigation of infectious disease cases easier and more convenient. Physician and health care providers, per Communicable Disease Rules 3701-3-01 through 3701-3-30 of the Ohio Administrative Code (OAC), are legally required to report suspected, lab-confirmed, and clinical diagnoses of specific diseases and conditions within specified time frames to IDRS. For more information or to report an infectious disease, visit the IDRS website. The Ohio Department of Job & Family Services requires all licensed child care centers and Type A Homes to have at least one person on site at the center who has completed the 6-hour Communicable Disease training (required by Rules 5101:2-12-27 and 5101:2-13-27). 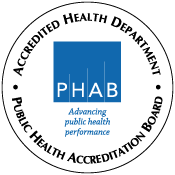 Columbus Public Health and Franklin County Public Health offer this 6-hour course. Learn More about communicable disease training course.